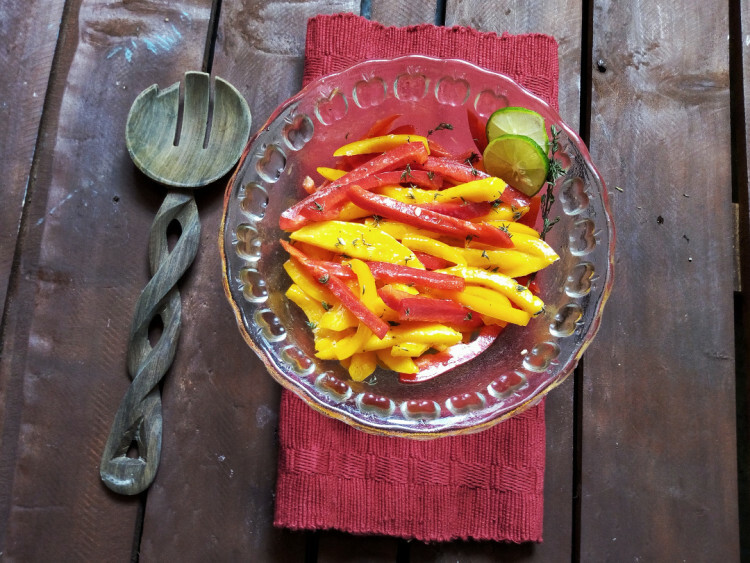 Mango and Pepper Salad with Thyme Vinaigrette - Leo Tunapika? Mango season calls for a bomb salad and this is it. 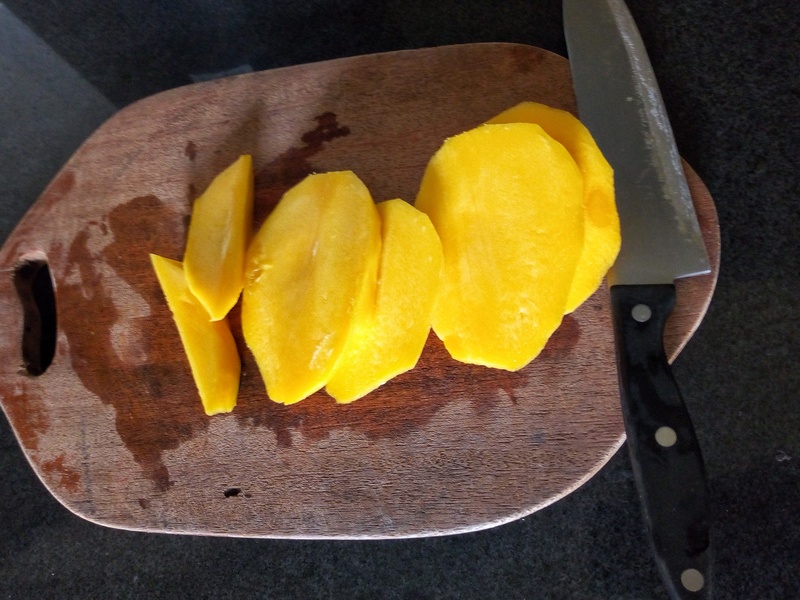 I don’t think I’ve made the most of this mango season as I would love to but I still have time, I guess. For this salad, you need just two ingredients, yes just two well not taking into account the dressing. I used tommy mangoes for this recipe. Tommy mangoes very delicious with the right balance of sweet and tart. 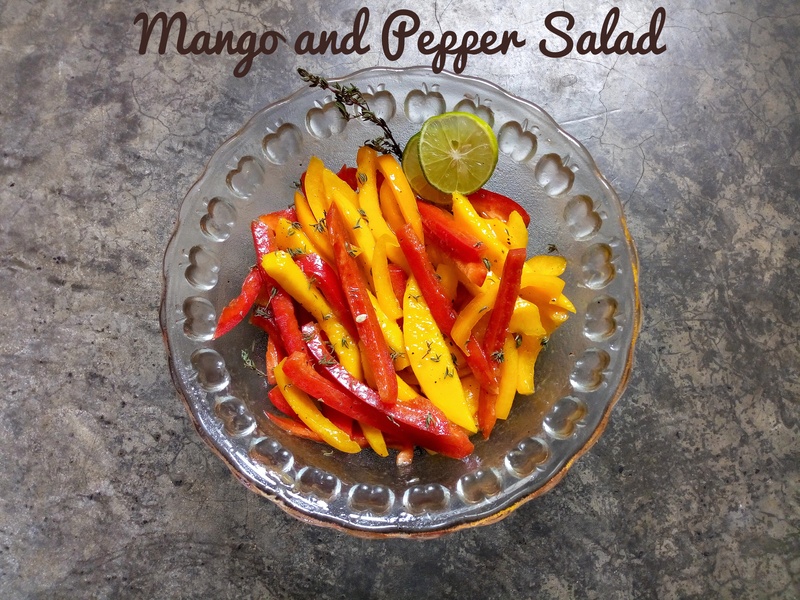 For this salad work with mangoes that are semi-ripe. 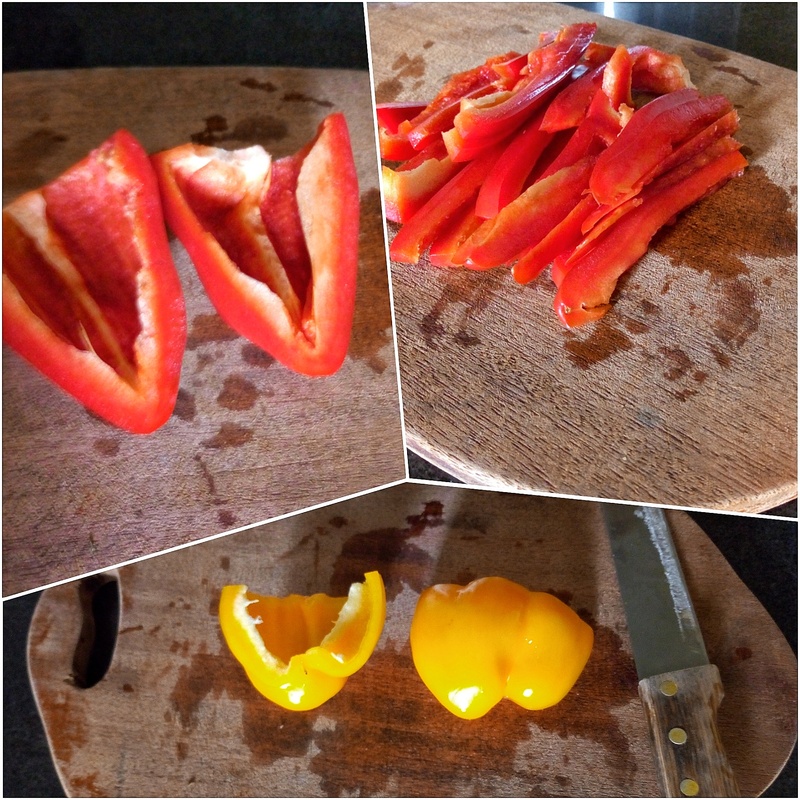 Start by cutting up the bell peppers, the colourful the better. 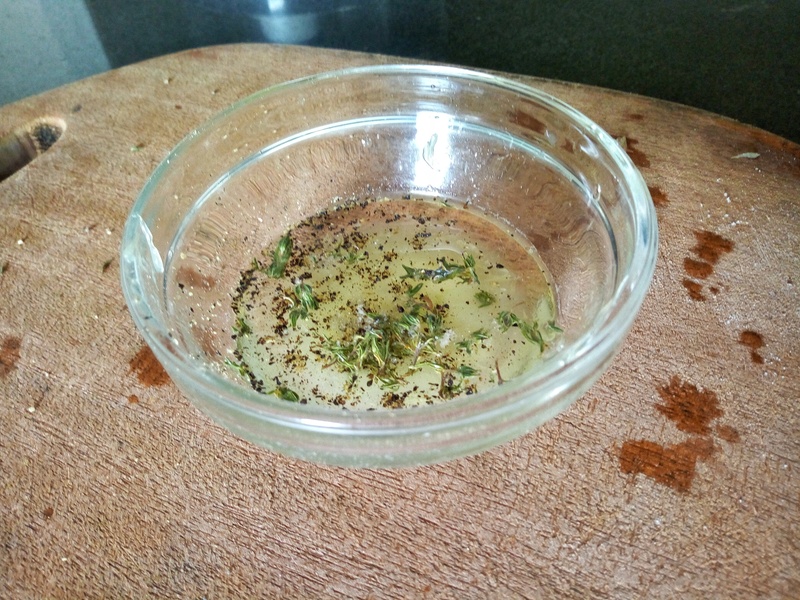 Now for the dressing, I made this simple thyme vinaigrette. A base for any vinaigrette is oil (olive/ sunflower/canola etc) and something acidic (lemon/lime juice, vinegar). To enhance the taste you can add salt and black pepper, herbs or even spices. Since I wasn’t making a lot of the dressing, i settled on mixing it in a bowl. If you plan on making a lot, you can use a mason jar. The classic oil to acid ratio for vinaigrette is 3:1. However you can tweak the ratio if you prefer it to be a bit more acidic. 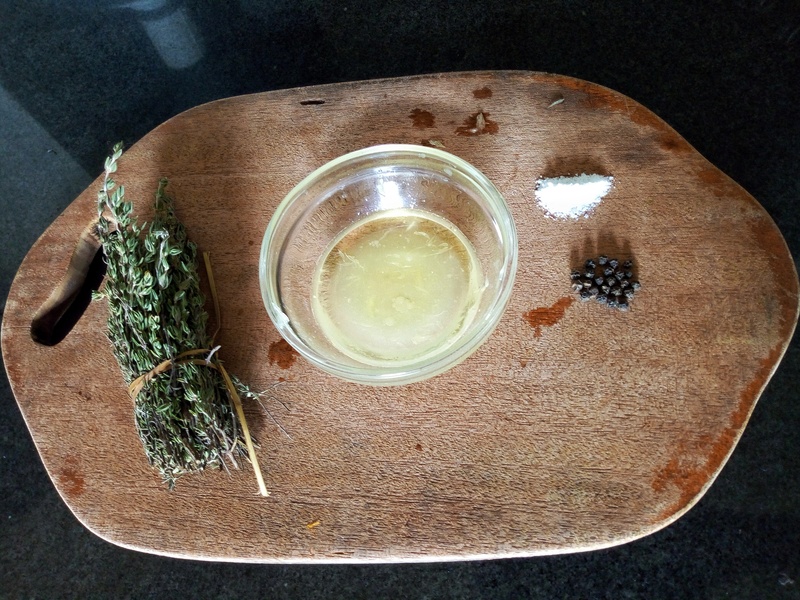 Using a fork or tiny whisk, emulsify the oil and acid, add the salt, black pepper and the thyme. 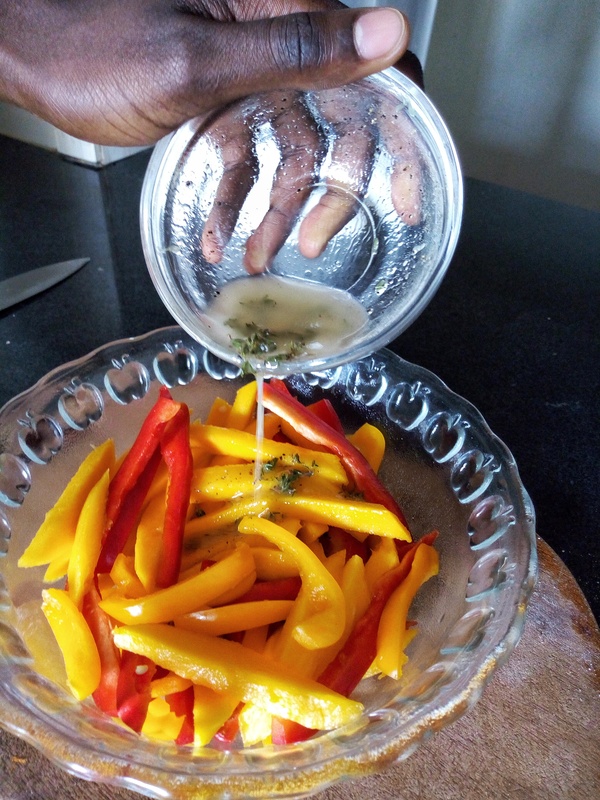 Sprinkle over the mango and peppers. Toss the salad and enjoy. In a bowl add the mango and pepper slices. For the vinaigrette, add the olive oil and lime juice in a bowl. Whisk with a fork to emulsify. Add the thyme leaves and season with salt and black pepper. 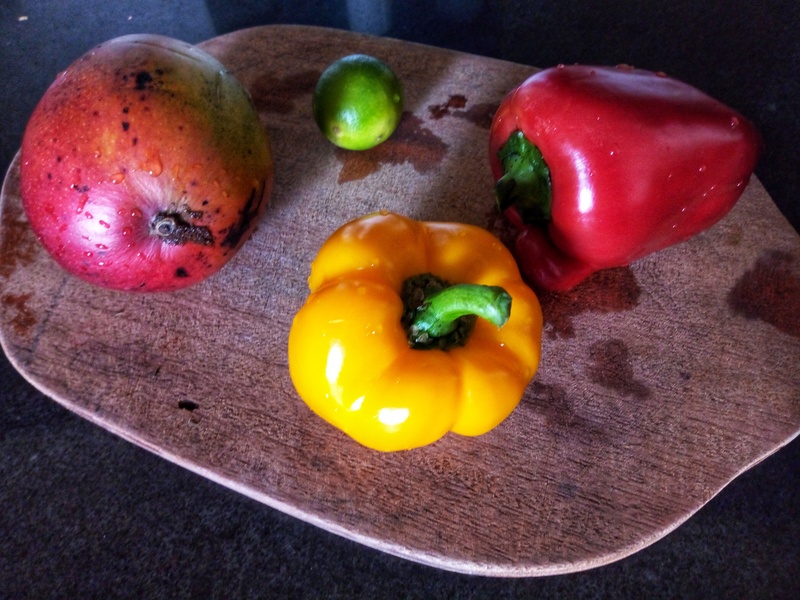 Pour over the mangoes and peppers.